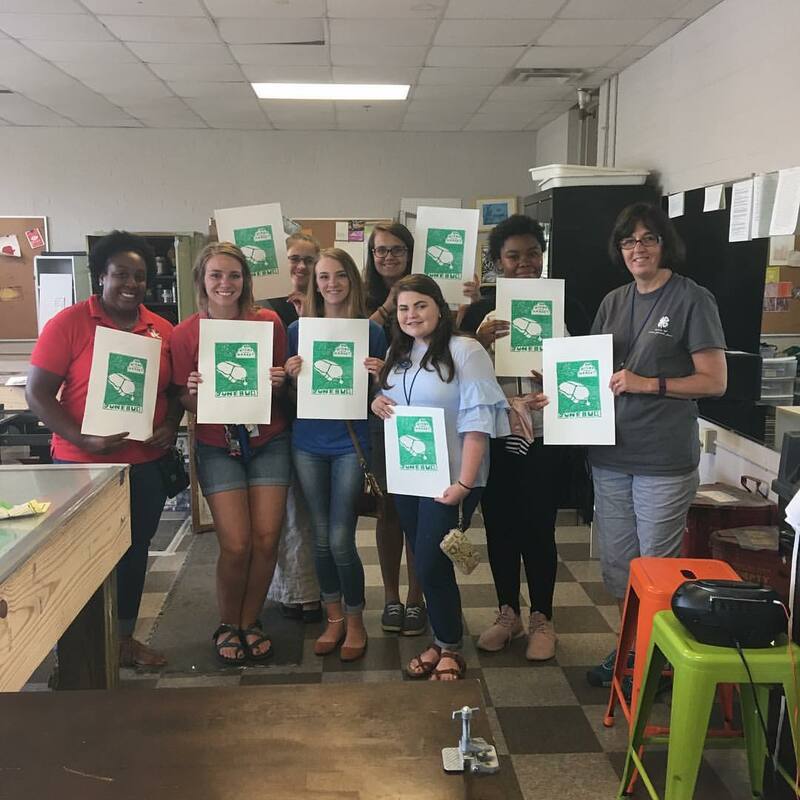 printmaking and an Associate's in Graphic Design from Bluegrass Community and Technical College. I also have taught printmaking through the Bluegrass Printmakers since 2013. In 2016 I was hired by Lexington Parks and Recreation to be their print master and oversee the operations of the print studio which included keeping up with the presses, teaching classes, running events, promoting printmaking and being the liason between the Bluegrass Printmakers and Parks and Rec. In 2018 I moved to St. Louis with my wife Rebecca Wiggins. 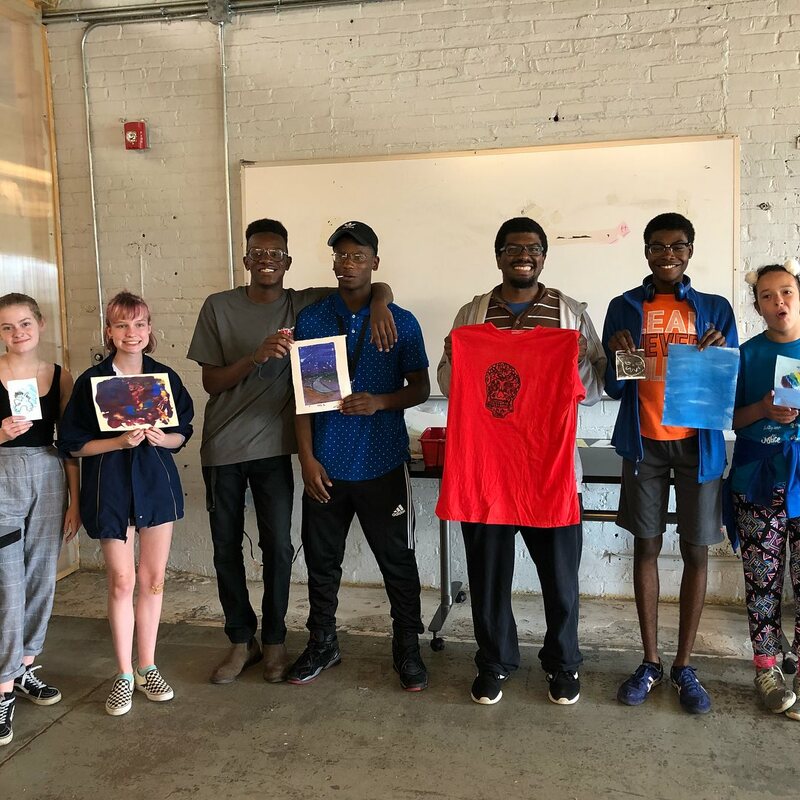 I am offering fine art printmaking workshops that I can do at homeschool communities, libraries, and classrooms in the St. Louis Missouri area. If you are interested in learning more about who I am and what I do you can go to http://www.wigginsartwork.com. You can host one and get 3 students in for free. Cost is $40 per student and a $10 supply fee. Everyone leaves with art they take home created onto paper. Description: Monoprinting is a form of printmaking that has images or lines that can only be made once, unlike most printmaking, where there are multiple originals. There are many techniques of monoprinting. Examples of standard printmaking techniques which can be used to make monoprints include lithography, woodcut, and etching. Monotype a single print taken from a design created in oil paint or printing ink on plexiglass. Clean up: Soap and water and rags. Description: Lithography is a form of printmaking that only operates by the process of oil and water not mixing. By using polyester plates you can draw with a sharpie or marker and make images that will be processed safely with just tap water and a sponge. Then after the plate is kept damp you can print onto paper with specific lithography ink. Process: For this session we will take our prints we made with monoprinting techniques from the morning session and then use the pronto plate to register or trace through onto the polyester plate with sharpies and ink pens. After we make the marks onto the pronto plate we will then begin processing the plate by wiping a clean sponge with water onto the plate. Then we will an ink color that the student will mix themselves. The student can choose primary or secondary colors. Red, yellow, blue, orange, purple and green. After choosing a color the student will lay the polyester plate onto the paper to print and run through the press. After this is done the print will lay to dry. Description: We will take gelatin plates and use acrylic paint onto paper using our hands to transfer the paint and image onto the paper. We will use bright and vivid colors printing light colors first and then reducing by printing dark colors last. Light to dark. Then we will learn techniques of gelatin plate printmaking. Description: We will use all the plates we have made images with over the last day and a half and create an image that will be the culmination of the three techniques learning registration and over printing techniques that will create images much like a painting. After this session we will print images onto paper to take home after the workshop is done.